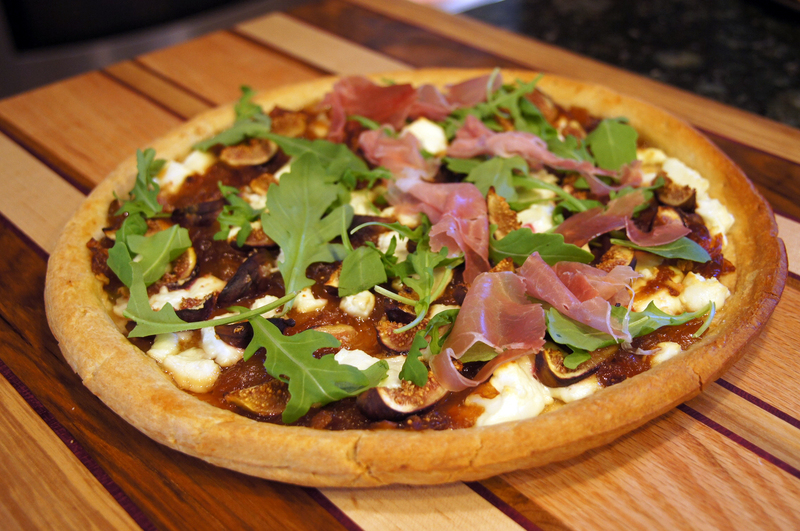 The mix of figs and goat cheese in this simple, quick pizza is the ultimate combination of sweet and salty. 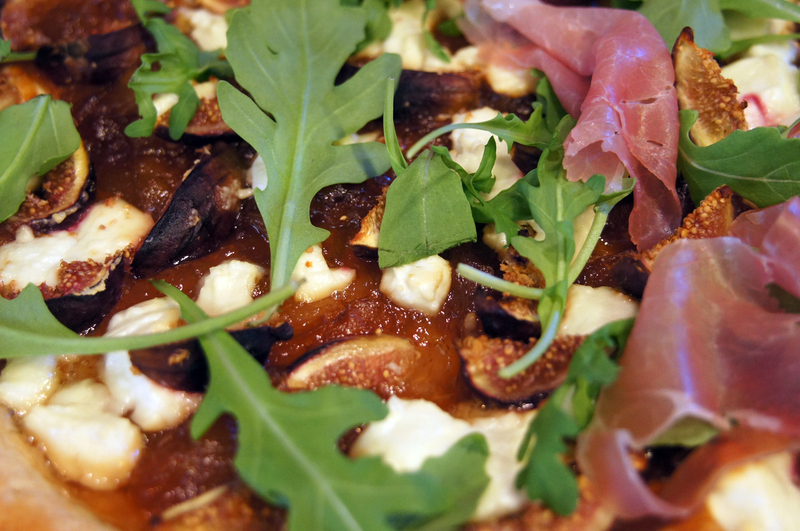 It’s the perfect answer to the sauce-less pizza! My only wish is that I had my own fig trees! Maybe my friends Jody and Pam can spare a few? – perhaps a barter? Anyway… this pizza is super easy and super quick you can have this on the table from start to finish in less than 30 minutes.